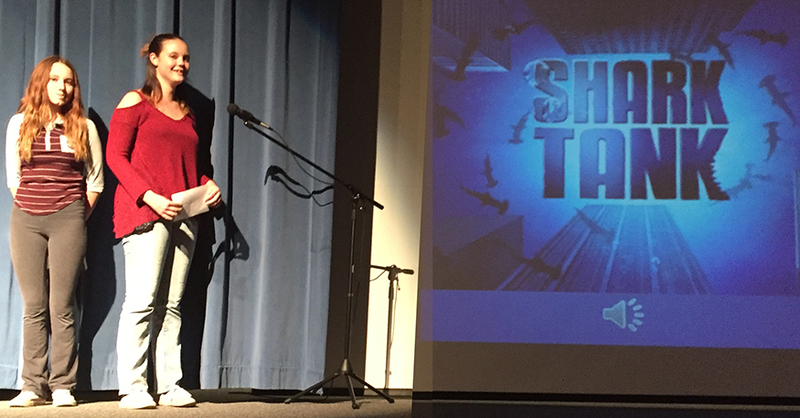 MORONI—Students at North Sanpete Middle School experienced their own version of “Shark Tank” last Thursday, May 4. Twelve seventh and eighth grade students in Carey Ivory’s business and marketing class and Laura Tenney’s textiles class presented business plans they had created to a panel of three judges as well as to their peers, families and friends that evening. 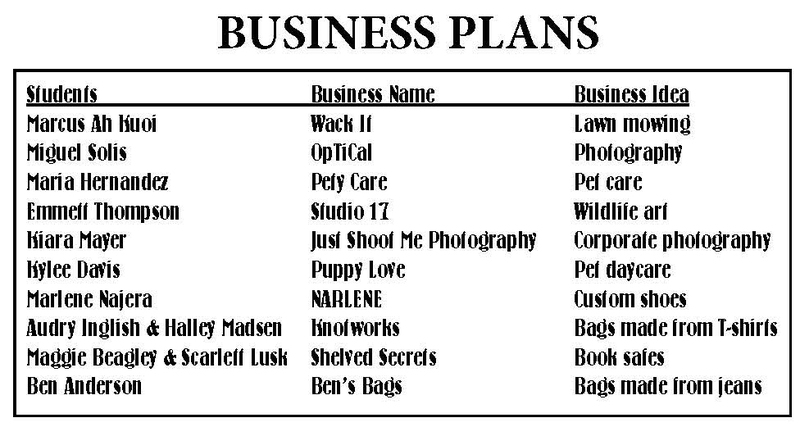 Ivory asked her students to including advertising, a billboard, business card, a magazine and a company website which were shown to the judges, in their business plans. In Tenney’s class, company plan components included creating a post-consumer item from recycled materials. While the judges were tabulating scores, the Family, Career and Community Leaders of America middle school chapter served soup to the audience in ceramic bowls made by Abe Kimball’s art students. For the bowl project, the students created two bowls, one to donate and one to keep, employing a pinch method on one and a coil method on the other. This was the first semester the school has done a Shark Tank. In previous semesters, Tenney has had a design show for her students to display their recycled products. She says she had been thinking of having them build businesses around their products when Ivory mentioned the possibility of a Shark Tank. So the idea for a collaboration was born, and the program “went off without a hitch,” Tenney says. The other judges were North Sanpete High family and consumer studies teacher Auralee Brooks and NSHS business teacher Justin Morley. 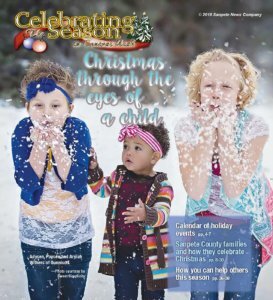 Suggested admission to the event was a food item for the Sanpete food pantry. About 50 items were donated. Shark Tank is an ABC TV series where would-be entrepreneurs pitch their ideas to a group of possible investors.